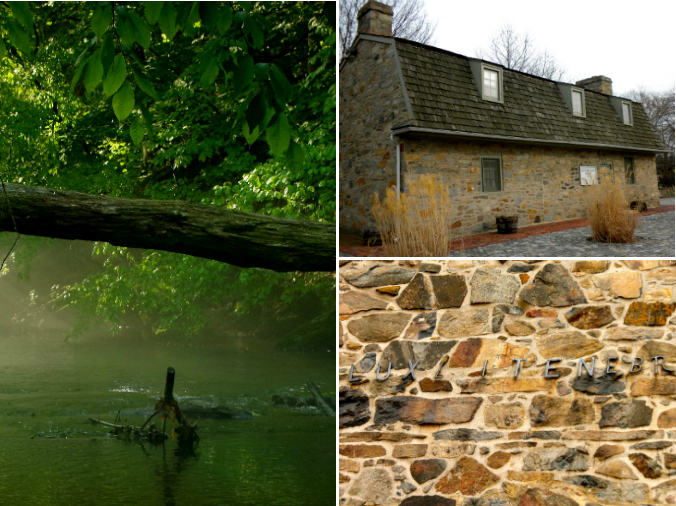 What is the oldest (still-standing) stone home in the United States? In a state-by-state series, we’ll explore that very topic while highlighting some of the country’s most magnificent structures. Delaware and a little stone farmhouse lovingly referred to as the “Old Swedes House” is the first stop in our tour. This 1 1/2-story farmhouse was built by Swedish settler Hendrick Johansson as a wedding present for his son Anders. Originally nestled along the bank of Crum Creek (from the Dutch, meaning “crooked creek”) in Chester County, Pennsylvania, the home was dismantled in 1958 and rebuilt on its present site at Old Swedes Church. Although Swedish settlers (the first to establish themselves in Pennsylvania) were credited with introducing the log cabin to America, this home was constructed of fieldstone, which would have been plentiful in and around the homesite. Hendrickson House is a fine example of Swedish Colonial style and originally featured one large room on the first floor and one large bedroom above. The home was owned by four generations of the Hendrickson family before it was sold in 1788 for use as housing for tenant farmers.